OST files are offline replica of user mailboxes on the Exchange server. An OST file resides on the user system. So it is vulnerable to many issues. They often show undesirable behavior such as inaccessibility, corruption or synchronization issues due to reasons like accidental deletion of user account on Exchange Server, virus intrusion, slowdown or crash, power failure, etc. Under such situations, the user may have to look for options to repair and recover the inaccessible OST file. The OST file repair options are different in different versions of MS Outlook. In MS Outlook 2000 and 2003, Detect and Repair tool was embedded for recovery of data files. In MS Outlook 2007 version, the Detect and Repair tool was replaced with an Office Diagnostics tool. 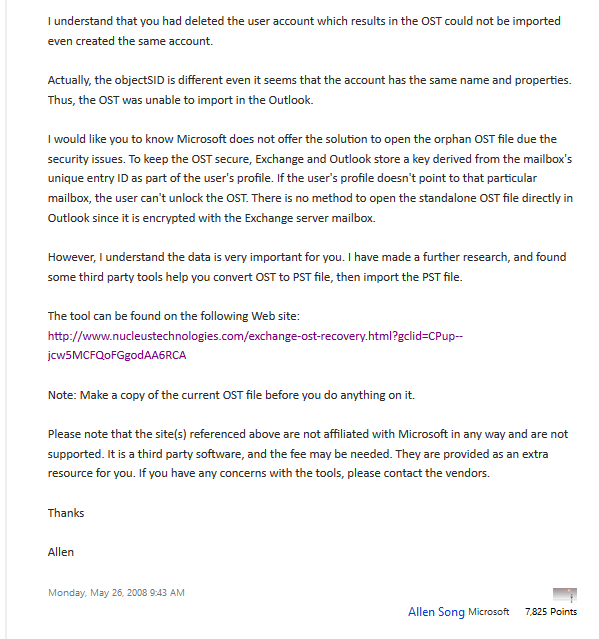 In MS Outlook 2010 and 2013, although the Repair option was available, it was specifically designed for repairing the Outlook installation files and registry entries. However, in latest versions like Outlook 2013 and 2016, there are easier ways to repair and recreate OST files. Open Mail from the Control Panel. 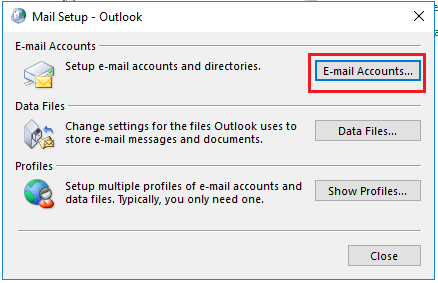 It will open a dialogue box named Mail Setup – Outlook. You need to click on Email Accounts. 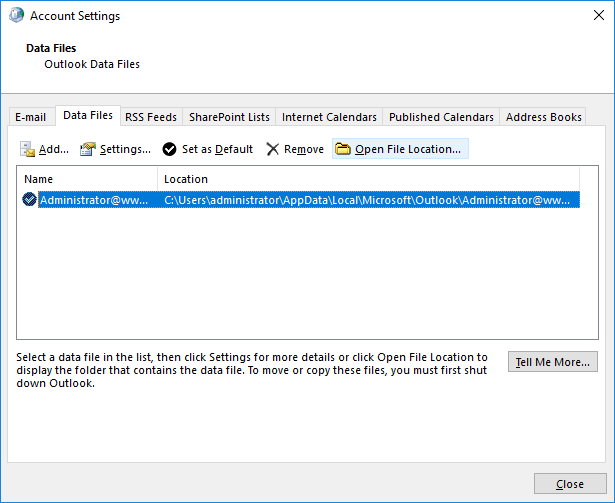 The newly opened dialogue box Account Settings will have all the Outlook accounts. Click on Data Files, choose the OST file, and then click Open File Location (to go to the location where particular OST file is residing). Right-click on the OST file and click Delete option to delete the file. Note: Before deleting the file, close the Account Settings and Mail Setup window; otherwise the system will give an error message. Start the Outlook application again. It will automatically create a new OST file for the account (downloading all the data from the Exchange server). 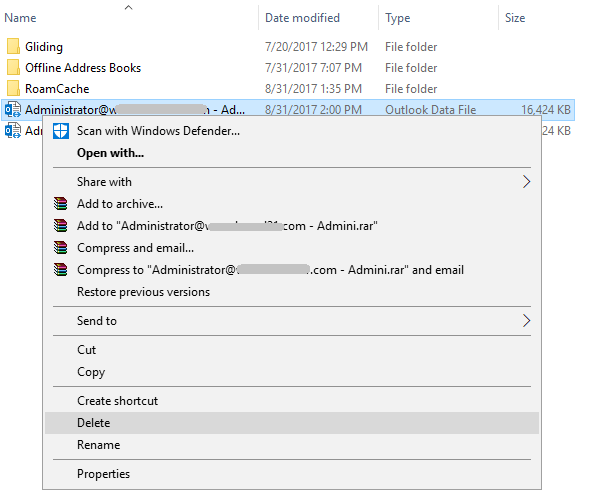 The above method to recreate the OST file will work only when the outlook account and Exchange server are in perfect sync. If the Exchange server is down or there are network issues, then the method may lead to permanent data loss. So it is highly recommended that any competent third-party recovery tool must be used to handle the corrupt OST files. Kernel for OST to PST converter is one of the most trusted and widely used data recovery tool which can retrieve data from any corrupted OST file and convert into PST file. 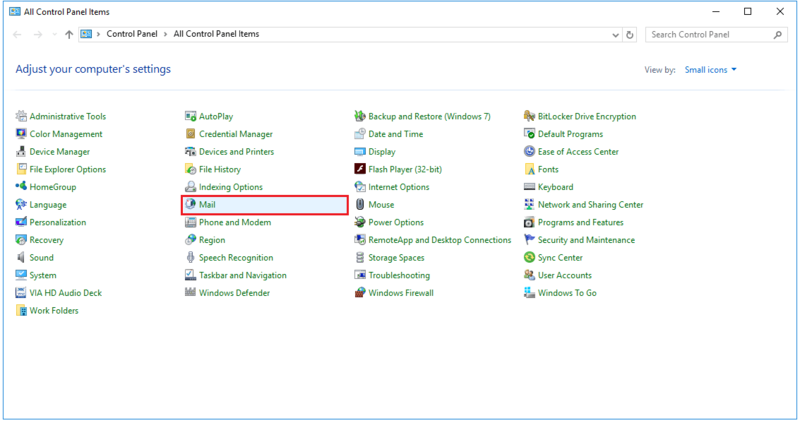 I have 16GB OST file – using Windows 10 and Outlook 2013. Will this program open it ? It absolutely works with Outlook 2013 and Windows 10 platform. Indeed, even this product allows unlimited OST file conversion into Outlook PST and other formats. First attempt its demo version of Exchange OST to PST software to analysis the tool.